As I head into my senior year at CU I can’t help but to think about how excited and nervous all the incoming freshmen will be. I remember those days like it was only yesterday! Now that I’m getting older-ish I am ready to sprinkle my wisdom and knowledge onto the next generation of young Buffs. Move in day is coming up, which means parents will be in town to help fund some of your fun. What a perfect time to go back to school shopping downtown! 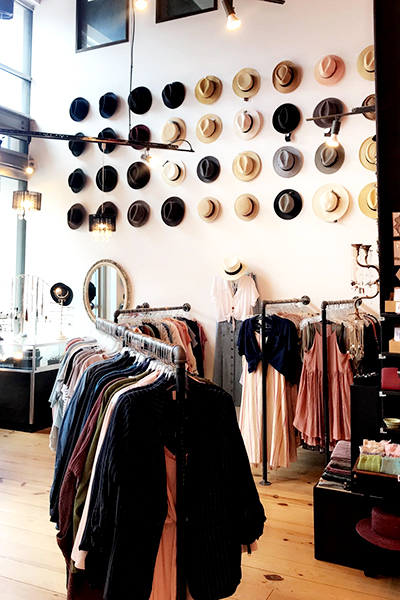 To my ladies, if you’re looking for some stylish new threads then head to Common Era, Elison Rd, or Savvy on Pearl to see what downtown’s boutiques are all about. The shopping doesn’t just end with these three stores, but they’re a great place to start acquiring some of the hottest items for this school year. If you’re on the hunt for more CU gear, if you don’t have enough already, then Charlie's T-Shirts and Where the Buffalo Roam are the perfect stores for you. Football season will be here before you know it, so stock up on all the fun game day gear! After you shop your little heart out, have mom and dad treat you to a nice meal. If you’re feeling fancy check out a personal favorite of mine, Brasserie Ten Ten. If you want something a little bit more low-key, but still just as tasty don’t worry there are plenty of options. Eureka! is a great place to go for a delicious burger, or go next door to Bartaco to enjoy some tacos and their beautiful interior. Freshmen year is one of the most exciting and unforgettable years of your college career, so make sure to experience it to the fullest. Explore all that Boulder has to offer, and don’t miss out on checking out all the amazing businesses downtown. Get excited for the first day of school in a couple weeks and the first Pearl Street Stampede happening August 30th on the eve of the Rocky Mountain Showdown!